It has been interesting listening into the UDS sessions remotely (find out how to join remotely here) this week. While I wish I could join more sessions (unfortunately the timezone difference is pretty brutal) there have been a number of key topics and themes discussed this week, of which a few in particular have caught my attention in the Community track. Two topics in particular appear to be LoCo Teams and Communication. 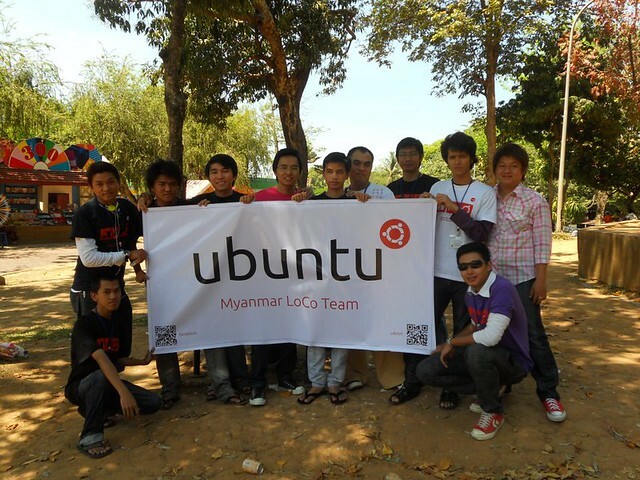 In a nutshell some of the feedback from UDS is that our LoCo Teams provide tremendously valuable advocacy for the Ubuntu project and but we could do with helping and harnessing these teams more. In terms of communication there is a desire for better communication regarding how announcements are made and how widely news is disseminated across the project. There was also feedback about improving community involvement in Canonical projects but I will dedicate another blog entry to that. I am in full agreement with both of these points of feedback, and I agree these are valuable areas for us to focus on in 13.04 and I am going to commit my team to help drive improvements in both of these areas. Next week when UDS is finished I will be spending a few days syncing up with my team to get more details about the discussions that I could not be part of due to the timezone, and then I am keen for us to put together a plan with our community. These plans will naturally take into account the discussions and suggestions put forth at UDS and we will coordinate with many of the participants in the sessions around the plans for 13.04. I would also like to put together a small community team that my team can have a regular call with to check in and ensure this work is on track, make any adjustments and improvements as we execute it, and be able to bounce ideas and discussion points off. We may break this into two teams: one to coordinate around the LoCo work, and one to coordinate around the communications work. I do have a few thoughts about these two areas I wanted to share below as points for further discussion. If you are at UDS please do discuss these topics there and feel free to share your thoughts in the comments below. There is no doubt that our LoCo Teams are a tremendous part of our community. There is also no doubt that we can help Loco Teams more to help and support their teams in being successful. From the perspective of the Canonical Community Team I feel a bit guilty about this. In previous cycles we have spent more time on LoCo Teams, but the last few cycles we have not had as much time to devote to helping teams be successful (the last few cycles have been hectic to say the least). As some of you will know, I used to have weekly calls with some LoCo Leaders and I want to get that back on track in 13.04. Leadership – as with previous cycles I think there is a great opportunity to continue to support, inspire, and motivate great leadership in our LoCo Teams. There is no doubt that a team with a great leader (if not a formal leader, someone who inspires work and contributions and coordinates projects) typically ends up being a happier and more motivated team. As such, for us to increase the number of happy, motivated teams, helping our LoCo Teams to develop great inspirational leaders is a great area to focus our efforts. Participation – one area in which I think we have done a pretty poor job in recent cycles in involving our LoCo Teams in activities surrounding the next release. As an example, on my team Nick Skaggs is going to be growing the number of manual testers, Daniel Holbach will be working with Nick to grow the number of Automated testers, and Michael is going to be growing the number of people participating in the skunkworks project. These are great areas in which we can reach out to our LoCo Teams for active participation, to share skills, and take part in wider campaigns. All to often we have focused on the specific communities in that work (e.g. the testing community in the QA work) and we should widen this to involve our wider LoCo Team community. As an example, I can see Nick reaching out to and support LoCo Teams to participate his his regular cadence testiing every two weeks. Sharing Stories – when a community reads awesome stories of LoCo Teams doing great work, it inspires and encourages great work too. A few cycles back we implemented changes to loco.ubuntu.com to highlight many of these stories and I think it would be wonderful for us to continue this work and make the site a hub of exciting storytelling and discussion. I would like to get this back on track. Do you think these are valuable areas of focus? What other areas do you think we can help make LoCo Teams be more successful? Communication is definitely an area in which we can drive some improvements. Within the context of the discussions at UDS, it seems the primary concern here is to improve (a) how new features, policies and information is communicated to the wider community and (b) improve how that information is disseminated so as many people as possible see it and people don’t miss it because they didn’t read a particular mailing list, blog, Twitter feed or otherwise. In terms of (a) you can break these announcements down into (1) announcements from the community (e.g. governance voting, CoC changes etc) and (2) announcements from Canonical (e.g. new features that might be landing, changes in policies etc). For (2) this is something I am passionate about improving in the 13.04 cycle. I have already reached out to Mark Shuttleworth and the Product Strategy / Online Services leads about improving how these big new features and changes are messaged outwards. As part of these improvements I am maintaining an internal spreadsheet with when these features and policy changes are going to be ready. This will give my team more time to prepare for this work, help us to provide other community teams with a heads up (e.g. the Community Council and the News Team), be able to plan resources and documentation, and be able to plan the discussions and feedback loop better. I am confident that this will improve significantly in the 13.04 cycle. Mark and the Product Strategy/Online Services leads are all on board to participate in this work. For (b) we started getting into this discussion in the community roundtable yesterday and I think that this deserves a longer discussion. Ideally we want to find a way in which we can utilize existing communication channels but be more efficient in how we message out to our wider community. As an example, the Fridge serves a useful purpose as a community orientated blog, but we need to ensure that the information and announcements get posted there more often (something that we can improve in my team). We also have other potential resources such as mailing lists and Twitter/Google+ feeds and we need to find the best way of merging these different resources together into a more scalable strategy for how we message outwards. I am keen to hear of any further discussions on this topic at UDS and for us to continue the discussion next week and put in a place a plan. Comments and feedback are welcome! I think you made some great points on some areas that can be improved and what has worked in the past. I know this was definately a busy cycle for your team and remember how much close work you did last cycle with Randall, Me and others. One thing that I think we could replicate and might help grow LoCo’s is something that Daniel Holbach has been doing with Developers that is sending them e-mails and asking them what they like about their first experience in Development. Surely we could have some process of reaching out to try and engage newly approved LoCo’s and even those that have went somewhat inactive because if we understand whats working and what is not working (which may vary by team) then we can improve the process to better cater our diverse community. Nice to read your points, I think it may help to fill the gap between the ‘formal’ community and the informal one, I’ll look forward for it. Thanks! I think you raise a good point about informal and formal communities. There is a lot of intrinsic knowledge involved in the active formal community (such as blueprints, work items etc) and we need to not presume instrinsic knowledge with the informal community. I think we can drive some real improvements here. Thanks for the comment, Ben. I totally agree: I think sampling the LoCo experience is a great way in which we can understand and improve on aspects of how teams form. It strikes me that a big chunk of this work is just empowering our teams to do cool things and share those things more publicly, which will further inspire other LoCo teams to do similar things. Yeah better communication is what I wanted to reach when I’ve started our official LoCo blog (blog.ubuntu.ch). Sadly the people on the LoCo-Contact list didn’t want to link a blog on planet.ubuntu.com (to reach more people) that doesn’t belong to a Ubuntu Member. But I’m (as the current LoCo contact) not a Ubuntu Member, and I also can’t guarantee that the next LoCo contact will be. Why do you have to make everything so bureaucratic?